Representatives from both Papay and Westray were on hand to collect the two SURF Awards. 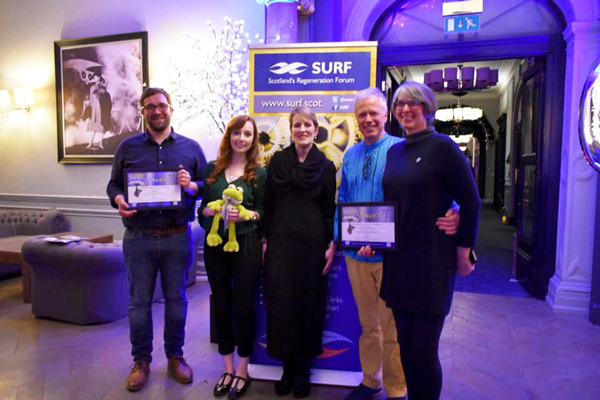 Papay and Westray each picked up awards at the prestigious SURF Awards last night in Glasgow. Papay Community Cooperative won the Community Led Regeneration Award, recognised for their efforts to rejuvenate the island community by establishing a social and economic hub. Westray, meanwhile, was named Scotland’s Most Improved Place. 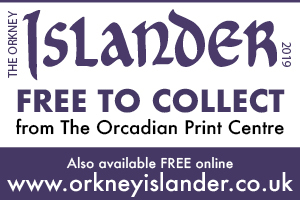 The island’s trust impressed the judges with their efforts to develop the economic, social and cultural sustainability of Westray by harnessing the quality of its resources, people and island environment. The awards set out to recognise efforts to regenerate communities, highlighting, celebrating and sharing the achievements of initiatives that address physical, social and economic challenges in communities across Scotland.